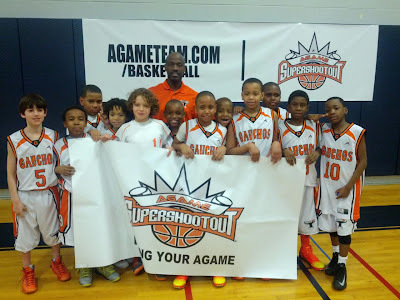 BASKETBALL SPOTLIGHT NEWS: AGame Super Shootout 3rd Grade Championship Recap: CHOZ Hold On! AGame Super Shootout 3rd Grade Championship Recap: CHOZ Hold On! In the 3rd Grade Division the Gauchos defeated long time rival Riverside Hawks 33-29 to win the AGame Super Shootout Championship. Congrats to the Gauchos Baby Ballers and hope to see them next year on the circuit.